Let us know if we can help with a specific requirement. From AGXGOLF by ORLIMAR: TOUR SERIES (SPIN FACE) WEDGES for LADIES. LADIES LITE FLEX. ALL SIZES LEFT..
MEN'S TL-PLUS 13 DEGREE UTILITY WOOD w/GRAPHITE SHAFT & HEAD COVER ALL LENGTHS RIGHT HAND: BUILT in the USA! NEW FROM AGXGOLF "TL PLUS" 13 DEGREE FAIRWAY UTILITY DRIVING WOOD: FREE HEAD COVER!!! 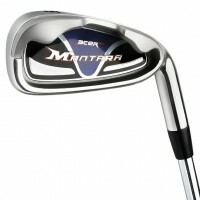 MEN'S RIG..
AMERICAN GOLF BALLISTA SERIES #5 HYBRID IRON FOR BOYS: LEFT HAND, TEEN OR TWEEN LENGTHS. Yes these.. !! PROUDLY BUILT in the USA !! AGXGOLF; MENS TOUR EAGLE SERIES STAINLESS STEEL 3 IRON REGULAR ..